Xerath support is absolutely exploding off the flow in a burst of arcane fury these last few patches, rising from a 0.11% obscurity to a respectable 2.36% play rate. Not bad for a cheesy formerly off-meta damage support! What's making him so good lately? Check out the details below! Xerath support is absolutely exploding off the floor in a burst of arcane fury these last few patches, rising from a 0.11% obscurity to a respectable 2.36% play rate. Not bad for a cheesy formerly off-meta damage support! Arcane Comet: This skill works very well with Xerath, and is almost a guaranteed hit on half his spells for free damage. 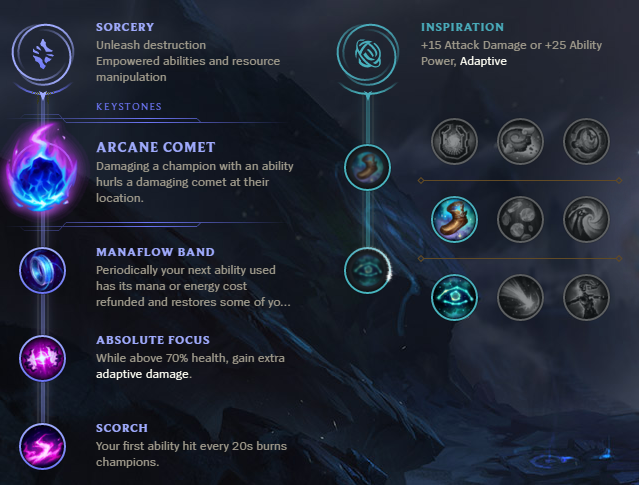 Manaflow Band: On this rune level, manaflow band is incredibly good for Xerath and allows him to stay in lane and remain relevant for a very long time without feeling a need to go back to base. Absolute Focus: This could be replaced by Transcendence and really just depends on your personal playstyle. Scorch: This one's straightforward and Scorch provides the largest impact out of the three choices. Magical Footwear: Most players will opt for this or the Stopwatch stasis rune. This rune will provide the most general use though. Cosmic Insight: As usual, just a very nice 5% rune all around and the rest don't do much for Xerath. Xerath's early game base damages are quite high. When you combine it with another early game damage dealer like Miss Fortune or a fellow long-range harasser like Jhin he becomes difficult to deal with as he can poke or 100 to 0 enemy champions with ease. Manaflow band allows Xerath to have much better mana management than before. It's much easier to poke every time you have a free spell rather than calculating whether poking now will reduce your valuable mana resources for the next all-in. Arcane Comet + Absolute Focus + Scorch in combination provide a large amount of poke damage. This gives him the new-found ability to out-damage the sustain that enemy supports provide. In combination with his longer than average range, Xerath is able to perform better than ever before. Champions like Leona or Taric find it easy to jump in once Xerath's stun is down or if he and his marksmen happen to use their cooldowns at the same time. He's still very squishy, so staying alive can be difficult once he's engaged on. 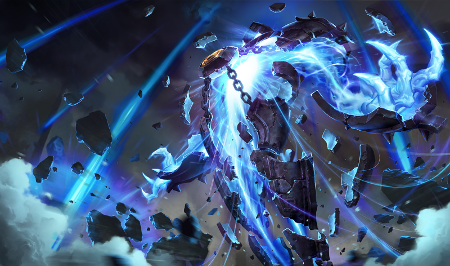 Primarily a damage dealer, Xerath offers little in the way of utility should his teammates fall behind. Against a Kayn or Rengar, he can't really do much to save his marksman if the enemy assassins snowball and he doesn't. Xerath at his core is an oppressive damage dealer that used to be cheesy but has become stronger than before as a result of the new rune changes. He synergizes well with meta marksmen but suffers against assassins or other all-in based champions. What do you think about Xerath support in his current form? Comment below!